Cost to assemble furniture varies greatly by region (and even by zip code). Get free estimates from handymen in your city. Cost to assemble furniture varies greatly by region (and even by zip code). The average cost of assembling furniture is $100. How much does it cost to asseble furniture? Some pieces of furniture are sold flat or unassembled. Retailers use this as a money-saving option. It does mean, however, that the buyer is expected to put the furniture together after purchase. Many people find furniture assembly difficult, frustrating, and time-consuming. 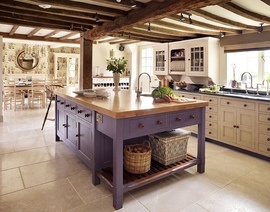 For that reason, furniture assembly services exist to help remove this burden. The cost of the service varies depending on location, delivery of the item, the item’s size, and how complicated it is to assemble. The average homeowner spends around $100 to have a piece of furniture like a bed frame assembled. Furniture assembly is a completely optional service when purchasing flat, packaged furniture. Many people opt to assemble their own furniture to save money, feel a sense of satisfaction at a job well done, and avoid scheduling hassels. However, having someone else assemble your furniture for a fee means that you can trust it was done properly. You will not need to purchase tools or have the necessary skills. People who are busy, have disabilities, are elderly, or have small children to care of, may find that having their furniture assembled is beneficial. The work is completed in less time that it would likely take you, and most companies also dispose of your packaging for an additional fee. Depending on the company you choose, where you are located, and the type or brand of furniture, you may encounter different fee structures for the assembly. Most companies have a minimum fee, which can be anywhere from $30 to $75. Some charge by the hour with rates at about $35 on average. Others have flat rates for single pieces of furniture. If you have multiple pieces of furniture assembled at once, you may only be charged the standard flat rate for the first one, then a lower flat rate for each additional piece. The following charts list different furniture pieces and their average assembly costs. Ikea is well-known for flat-pack furniture sold at fairly low prices. While many pieces can only be purchased in store and a few online, Ikea never offered assembly. You were expected to assemble the furniture yourself. Ikea has now partnered with TaskRabbit to offer assembly on certain items. Most are assembled in your own home, but a few stores offer assembly in the store as well. Prices start at $36. If you have never assembled flat-pack furniture before, pay close attention so that you do not miss any pieces. It is also important to make sure that everything is fastened tightly enough to avoid damage to the piece. Most furniture assembly companies offer a cleanup service after completing the job, which includes removing the packaging, for an additional fee. Disposal fees start at $35 for this service. If you discover that the furniture arrives broken in the box, contact the company you purchased it from for a refund or replacement. Inspect the item as soon as it arrives to ensure it is not broken before scheduling your furniture assembly. 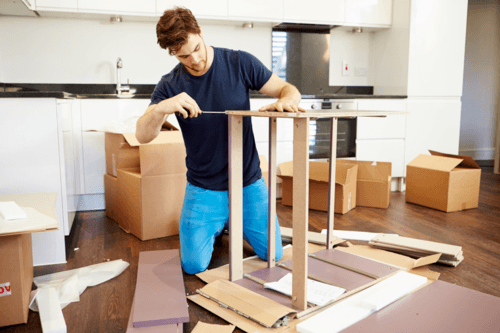 In the event the assembler arrives and cannot put the furniture together because it was damaged, you need to pay a fee for the assembler’s time. Never completely unpack the box before the assembler arrives. Doing so could lose important pieces or instructions. Instead, simply check to ensure that it is the correct item and undamaged before closing the box. Keep the area the furniture will be assembled in clear of other furniture or debris to make it easier for the assembler. Keep pets and children out of the area during assembly. Never try to fix any broken items of furniture yourself. Contact a company representative for help. Furniture assembly ranges from around $40 to $350 depending on the item. How much does it cost to assemble furniture in my city? Cost to assemble furniture varies greatly by region (and even by zip code). To get free estimates from local contractors, please indicate yours.